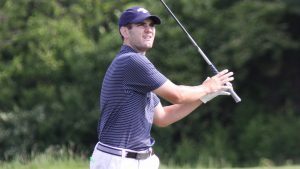 Congratulations to Hunter Rappleye (Mathematics, ’17) for being named a Cleveland Golf/Srixon All-America Scholar for the second year in a row by the Golf Coaches Association of America! The Mathematics and Computer Science Department is proud of Hunter for his accomplishments both in the classroom and on the course. Way to go, Hunter!